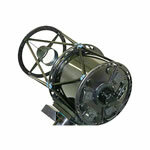 Meade ups the ante with the introduction of an 8" LightSwitch telescope. With 78% more light gathering power than the LS 6", the LS 8" turns a unique viewing experience into an unsurpassed viewing experience. And still, it's just as easy as flipping a switch. 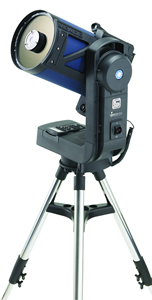 When Meade announced LightSwitch Technology in early 2009, the amateur astronomy game changed. Simply flip a switch and LightSwitch automatically aligns itself in the night sky. 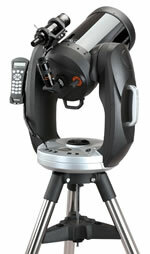 Built-in GPS, magnetic north sensors, level sensors and a CCD camera do all the work - within minutes you're observing! Let Meade's Astronomer Inside take you on a multi-media guided tour of the night sky. Choose the Tonight's Best tour and the Astronomer Inside automatically moves the telescope to the best objects in that night's sky. 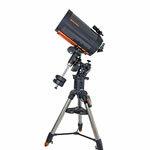 At each object, listen as the Astronomer Inside describes in detail, fascinating facts and history. Attach the optional LCD Color video monitor and you now have a dazzling multi-media presentation that integrates rich audio and video. 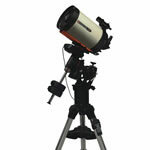 Or select your favorite object and your LS telescope takes you to it and tells you all about it. 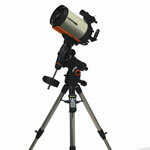 It's like having an astronomer at your side! 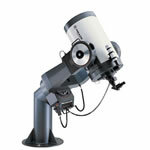 Since 1972, Meade has consistently manufactured the finest optics available. 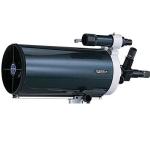 Now you have your choice of either Meade's high-performance 8" Schmidt-Cassegrain (SC) optics, or - for the truly discerning individual who demands the very best - Meade's 8" Advanced Coma-Free (ACF) optical system delivering the sharpest, brightest image available. Both systems are made with superior materials featuring Schott?water white glass front correctors, oversized Pyrex?primary mirrors and include Meade's UHTC coatings for optimum light transmission. Either way, you get Meade's legendary optics.